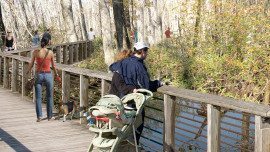 Wake County worked with Alta Planning + Design and Sage Design to complete a master plan update for eight of the County's parks, including the American Tobacco Trail. Each park is unique in its target audience, site, and programming. The planning process began by reviewing existing master plans and conducting a thorough site analysis. Public participation involved consulting a steering committee, county residents, and staff through a variety of forums from workshops to interactive surveys and on-site interviews. 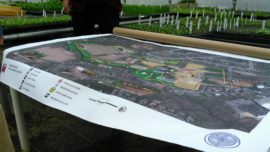 Our team used innovative planning and design approaches coupled with targeted public input to achieve site and programmatic recommendations in harmony with the County’s mission as well as the National Recreation and Park Association’s three pillars of conservation, health and wellness, and social equity. Analyses included the use of GIS modeling to illustrate equity features in the County including age and access to vehicles. Demand analysis was conducted to comprehend where in the County residents Live, Work, Play, and Access Transit. There was a huge underlying focus on access in this effort—ADA, park to park via greenway, transit to park, circulation, wayfinding, socioeconomic—and providing a system of parks that are a component of a healthy community. 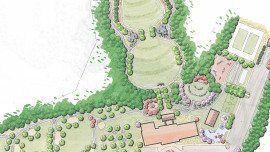 Over 600 acres will provide experiences for active recreation, natural education, overnight retreats and challenging ropes courses. 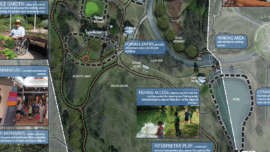 The master plan includes nature play areas, trailhead improvements, hiking trails and and blueway access, and even a butterfly garden, dog amenities, and interpretive vegetation. This plan will carry the County into the future of conservation and recreation.